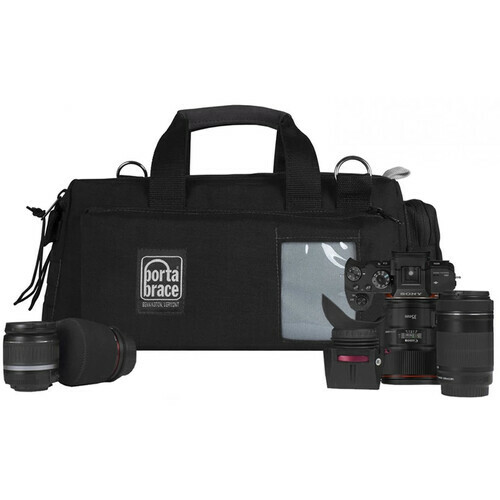 The small black Semi-Rigid Lightweight Cargo Case from Porta Brace is designed for carrying the Canon XA20. The bag features two exterior padded side pockets, two front and back exterior flat zippered pockets, and two front and back interior slip pockets. When using the bag to carry smaller items inside the main compartment, you can use the included padded foam Camera Cradle to stabilize your camera during transport. The case also comes with two padded interior divider panels for organizing and protecting equipment and accessories. The outside of the bag is made of 1000-denier Cordura nylon and features suede accents. There is a skid-resistant waterproof bottom, as well as two solid steel clip rings for attaching the included nylon strap. This case features reverse zippers that are sewn in upside down for added durability. 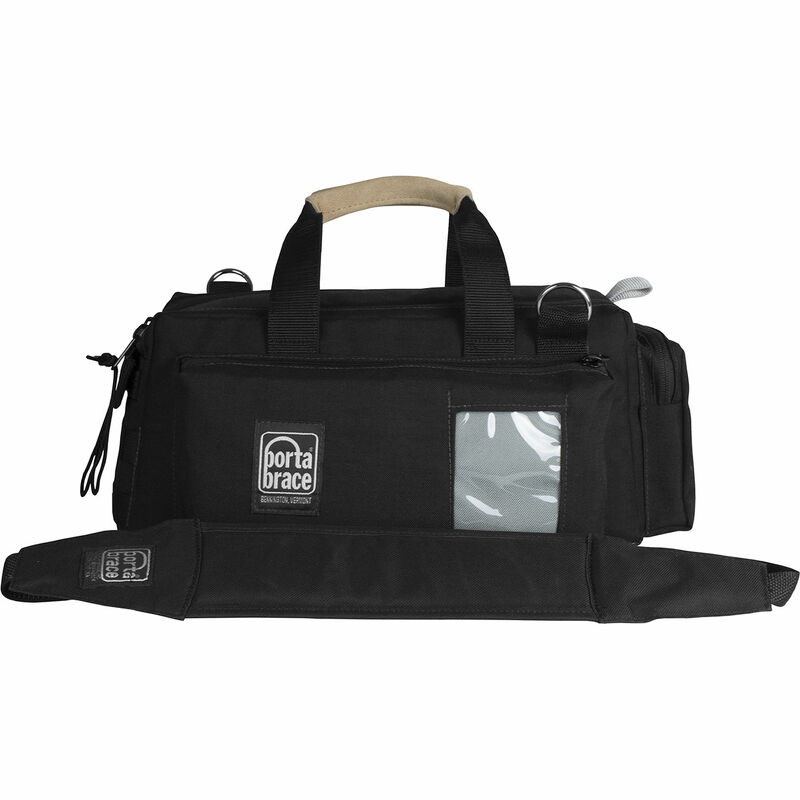 You can carry your bag using the removable shoulder strap or the suede grip handles.